Turtles wallpaper. Download for HD size. dude this is so amazing! the way you bring the turtles to life in your artwork is just breath taking! love it! So unusual to see happy turtles here. Well, maybe SAINW turtles are not so happy (though it seems Leo and Don aren't SAINW), but happier than "Goodbye, my brothers" series. The gallery was getting a tad heavy Yes, their looks are sort of inspired by SAINW. Thanks for featuring one of my deviations. Awesome! I love your art!! Stylish! 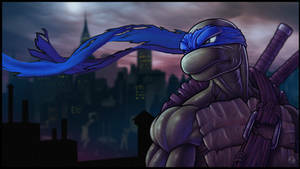 I love Raph's... Eyepatch? Whatever it is. Epic! This is amazing! The shading and colour is just enthralling! Please keep up this amazing talent you have! Oooo is this based loosely on the SAINW episode? A few details, yes. 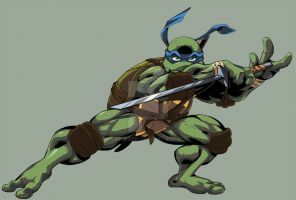 Like Raph's stitched up eye.